I am absolutely delighted to be a 2014 Ambassador for the Emerging Writers' Festival in Melbourne this weekend, alongside Maxine Beneba Clarke, Krissy Kneen, Benjamin Law and Felix Nobis. We'll be appearing in several events over The EWF National Writers' Conference (31 May - 1 June), and my events are listed below. We'll also be hanging out around the Festival between sessions, so if you see us, please do come up and say hello and have a chat. For tickets to the conference, please look here. Many thanks to Monash University Faculty of Arts, supporters of The Ambassadors Program. Saturday 31 May, 10.00pm - 11.00pm, Swanston Hall, Melbourne Town Hall. Our five Festival Ambassadors share the writing advice they wish they had known when they were starting out – in the form of five rules for writing, each – as an inspiring guide for the next time you sit down to write. It’s 5 x 5 and you will come away with 25 hot tips. With Maxine Beneba Clarke, Hannah Kent, Krissy Kneen, Benjamin Law and Felix Nobis. Hosted by Sam Twyford-Moore. Sunday 1 June, 10.00am - 11.00am, Melbourne Room, Melbourne Town Hall. Step into The Control Room where you are in control of the conversation. We put a writer in a room and let you ask the questions. There is no host. There are only the writers and the audience. They bring the experience, you bring the questions. Sunday 1 June, 12.00pm - 1.00pm, Swanston Hall, Melbourne Town Hall. How do Australian writers fare overseas? 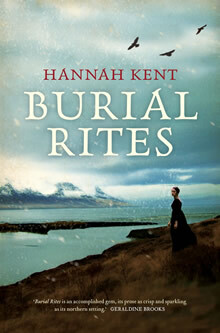 What happens when an Australian writer writes a book set in Iceland? What research is needed to set any Australian book overseas, and how does writing about an international setting speak to your own roots? These writers are often out of the country – while they’re here, catch them speaking before they go jetsetting again to the next new location for chapter two. With Hannah Kent, Ender Baskan and Jo Randerson. Hosted by André Dao.